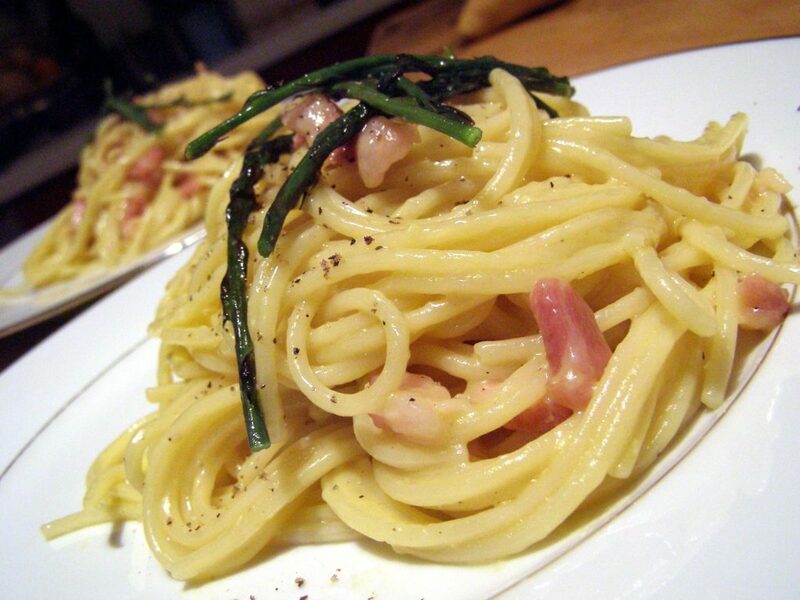 During the time we were living in Formia, Italy, we happened upon some wild asparagus growing under a tree in the garden and couldn’t wait to make it for our aglio e olio spaghetti with wild asparagus and prosciutto. Unlike the asparagus you find at the store, wild asparagus (acutifolius – meaning ‘thorny leaves’) can grow up to 12 inches long. It’s thinner than a pencil and a challenge to find in the scrub. 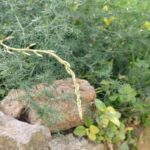 In the areas surrounding the Mediterranean, wild asparagus is a herbaceous, perennial found in the most unlikely places. 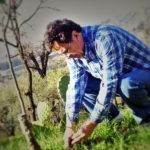 The first indication that there is something good to gather from the wilds and the roadsides in Italy, is when you start to see people walking and gathering greens. They will spend hours in search of the highly prized edible plant, after all it is free! Depending on the weather, asparagus foraging can take place from the mid of February to early May. 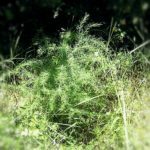 Wild asparagus is very difficult to spot so the best technique for finding it, is to first find the whole plant which looks like a thorny, scrubby weed about 2 – 3 feet high. Once you find the mother, you need to look for the new shoots in and around it. By the way, these wild areas are great hiding places for snakes too. So if you decide to set forth into the wild for edibles, be sure to dress appropriately. Enzo happened upon the wild asparagus in our garden purely by chance and as you can see from the photograph below, it wasn’t what you could describe as a harvest, but it was very special all the same. 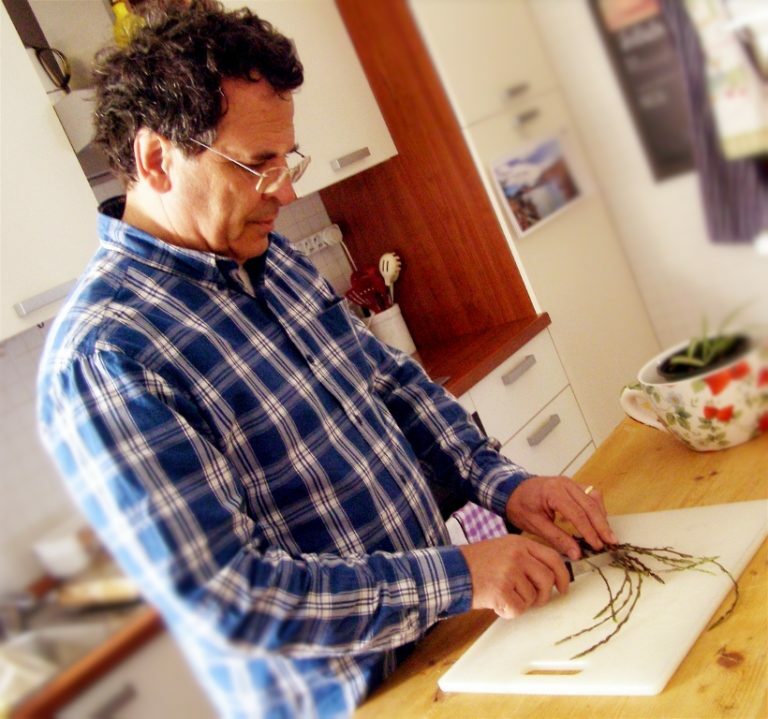 If you are lucky enough to find wild asparagus in your back yard, simply cook the same way you would any other kind. Bring a large pan of water to a boil then add the pasta and stir to avoid it sticking. Bring the pasta back to a boil and allow to cook following the instructions on the packet. For fresh pasta, this will only be about 4 – 5 minutes. 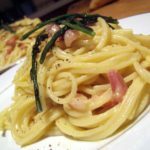 While the pasta is cooking, in a large frying pan over medium-high heat, add the oil, garlic, asparagus, tomatoes and prosciutto. Sauté and stir gently for up to 3 minutes, or until asparagus is just tender. Drain the pasta and add it to your sauce in the pan. Toss gently to combine then serve. 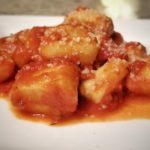 Place the Parmesan cheese at the table for people to help themselves. ….. don’t forget some fresh bread!